90 Taps of Beer. At This Place. Wait, while we’re doing that, why don’t we also tell you about the first area location of Old Town Pour House, a Chicago-based outfit with a thing for draft beers (yeah, 90 of them), opening Monday in Gaithersburg. Maybe you’ve got some business up I-270. Maybe you’re just looking to support Maryland’s economy through beer tourism. Whatever the case, you’ll come here. It’s a nice-looking place. 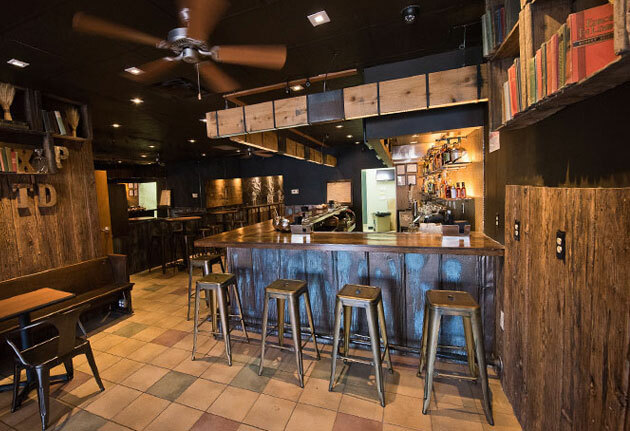 A stone wall, tons of copper over the bar, alligator-embossed seats. Take a look. Let’s not complicate things. You’ll sit at the 30-seat bar, or in one of the semicircular booths facing the 13 TVs. You’ll look at the beer board, which categorizes all the taps by style. Pay attention to the “rotating” section for one-off kegs. (They’ve got about 40 of those in reserve.) Then put together a flight. You may also want to eat. Wise. You’ll find braised short rib, mini Chicago dogs and filet mignon sliders.